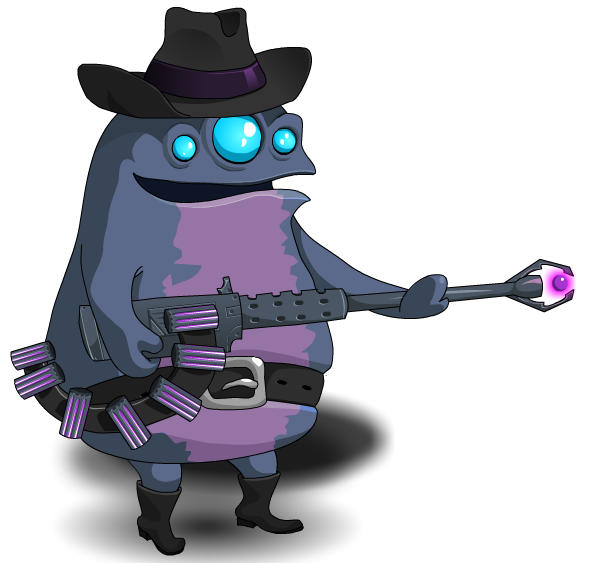 Description: He's packing enough heat to send any monster running for the hills! Just don't ask him where he gets it from. Note: Also see Bulletproof Blob. Thanks to rickyb20 and Xia.